Climate change is going to have an increasingly negative impact on the growth of the world economy in the coming decades. Recent research shows that the effects of climate change such as floods, droughts and rising sea levels cause hundreds of billions in damage to the global economy per annum. And that damage will, through rising temperatures and more extreme weather, even increase more. A concrete example is Bangladesh, where an additional warming of the earth with 0.3 degrees will lead to a decrease of 10 percent in agricultural productivity. That seems to be far-flung, but in an economy where markets and international prices are dependent on each other, every breath of wind there can cause a storm here. Countries can play a role at EU, US or world level in counteracting climate change by making a proposal for a simple and effective climate policy based on putting a direct price on CO2. One of the principal causes of climate change is the manmade emission of greenhouse gases of which CO2 is the most prominent. 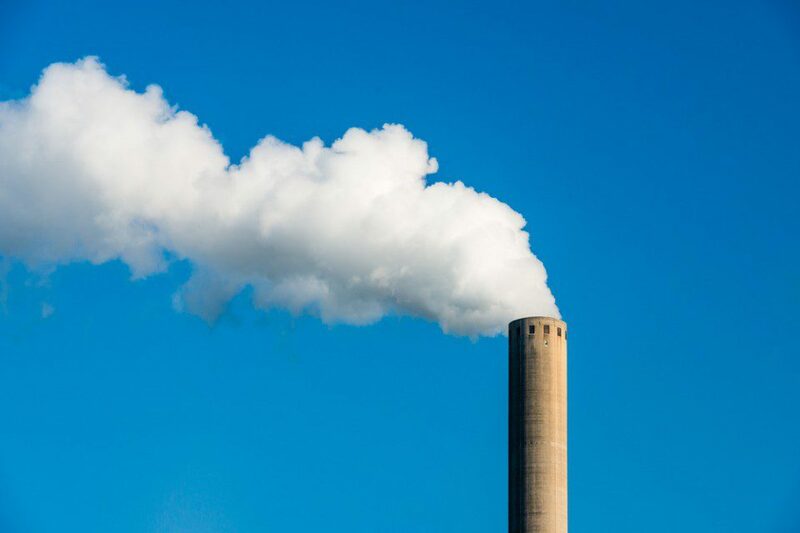 Europe has introduced a CO2 emissions trading scheme in order to reduce greenhouse gas emissions. Each participating European country is assigned a number of emission allowances they may emit per year. If a country stays within the allocated limitations it is allowed to sell the CO2 rights that remain, if it goes beyond the bounds you have to buy additional allowances. Because the world economy has grown more slowly than expected over recent years and because countries have been allocated too many free allowances, the emissions trading scheme fails. The allowances are worth too little because of which countries and major energy-intensive industries do not feel economically compelled to invest in energy efficiency. The system is also so abstract that businesses and consumers have no idea of ​​the cost of a ton of CO2 and how emission reductions will help them to act economically. An alternative to the CO2 emissions trading scheme is putting a direct price on CO2 by means of a carbon tax. The system is very straightforward: every fossil fuel has its own CO2 (or carbon) emission. A car’s usage of a litre of petrol causes an emission of 2.78 kilos of CO2 for example and the usage of one kilowatt-hour of grey energy causes 0.455 kilos of CO2. An option would be to tax these emissions. Taxing emissions would make it less attractive economically to make use of them, therefore stimulating businesses and consumers to use less of it. Such a CO2 tax will encourage businesses and consumers to look for cheaper and, automatically, cleaner energy alternatives. Anything that causes a CO2 emission is subjected to a CO2 tax. Filling up with a litre of Petrol, consuming grey electricity by consumers or the industry, heating your home or office with gas, etc., etc. Whoever has the most negative impact on ecology and economy pays the most. A no-brainer really. Now, those with lower incomes spend relatively more money on energy-intensive products. To prevent a CO2 tax to have negative impact on these people’s disposable incomes, they can be spared through income-related taxes. Furthermore, certain industries may need more time to adapt their energy-intensive production in order to maintain their competitiveness. They could also be provided with compensation in the beginning. But, over time, whatever harms the economy (CO2 emissions) should be taxed in direct proportion to that which actually contributes positively to the economy (labour). Until then, both consumers and entrepreneurs have had the time and choice to invest in energy-efficient and sustainable solutions for obtaining energy. During recent climate negotiations in Paris, Copenhagen and Doha the European Union in particular has been ambitious by contributing measures to counteract climate change. Unfortunately, this ambition was not completely shared by big polluters like the US, China and India. It is therefore unlikely that these countries would join in (now) on an introduction of a global CO2 tax. But Europe can take the lead and act as the most socially responsible continent. It is important then that the whole EU participates in the introduction of a CO2 tax in order to let entrepreneurs within the EU compete with each other on an equal footing. The introduction of a CO2 tax will boost the European market for energy efficiency and renewable energy. Moreover, innovations stimulated by a CO2 tax will later export well. Part of the revenue of the CO2 tax could be used in order to prepare Europe for the climate change that it awaits. One could for example think of the construction of higher dikes and dunes. The rest of the revenue can directly go into general funds. Another advantage is that promoting sustainable production methods or the generation of renewable energy does not need to be subsidized by governments because the market is now automatically directed that way. Because of the earnings of the CO2 tax, the tax on labour could be lowered. The government does not need to become richer through a CO2 tax, but it will become cleverer even in its own procurement policy. Hopefully, this CO2 tax can be a starting point for a turnaround in the allocation of European and public funds. Tax whatever has a negative contribution on people, planet and economy and ease the burden on that which does contribute to our well-being. 10.Good ascent to the pricing of other externalities such as the consumption of water and biodiversity. Curious about what a tax on CO2 would mean for your business? Calculate your carbon footprint> and multiply it with 0,10 cents (100 euro/dollar per ton CO2 is a price on carbon which is often named as usefull for reaching the Paris Climate Agreement targets). And read this if you want to know more about the social costs of climate change.